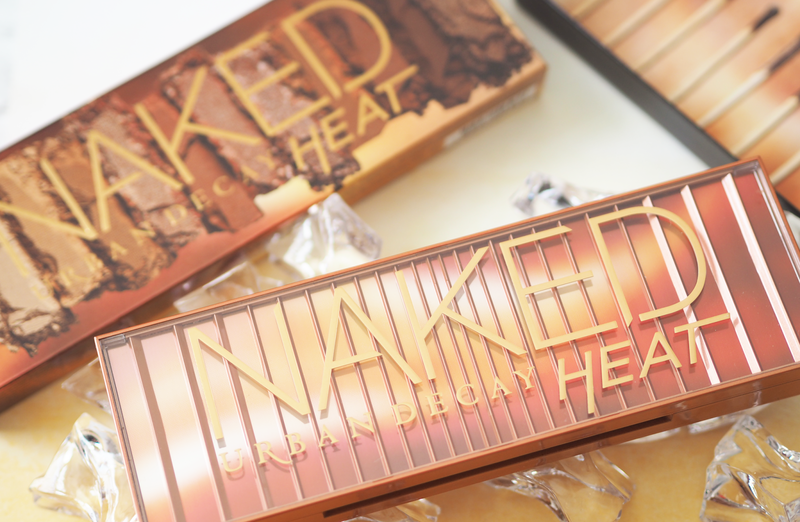 After what feels like months of waiting, the Urban Decay Naked Heat Palette is finally out. 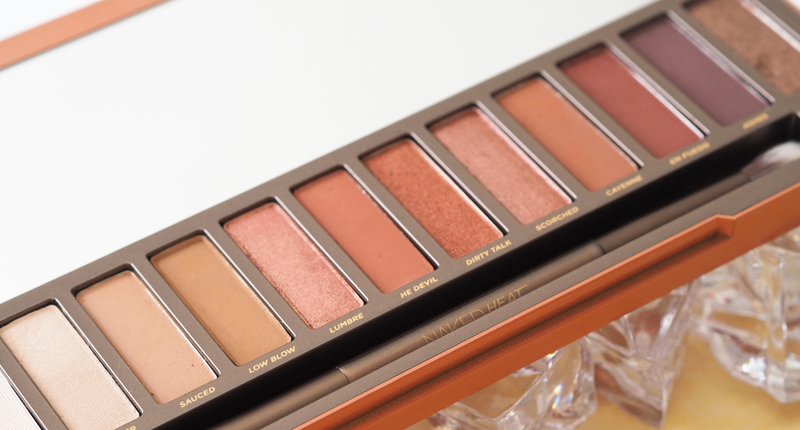 Over the years I've been drawn to warmer-toned eyeshadows and this is definitely a palette that was duly needed. 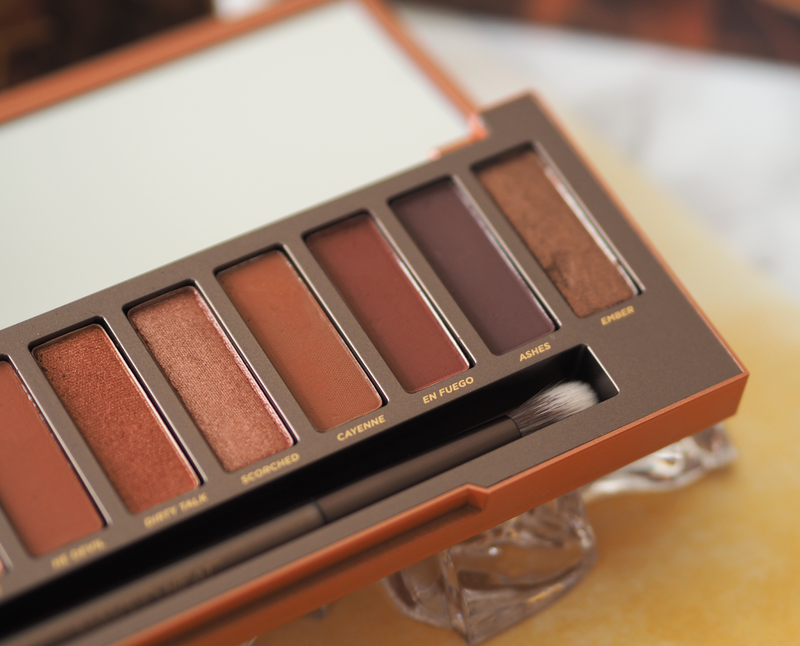 I own a fair few Urban Decay palettes and even with all the bright shades and super shimmery ones, we really needed some bright terracotta numbers from Urban Decay. 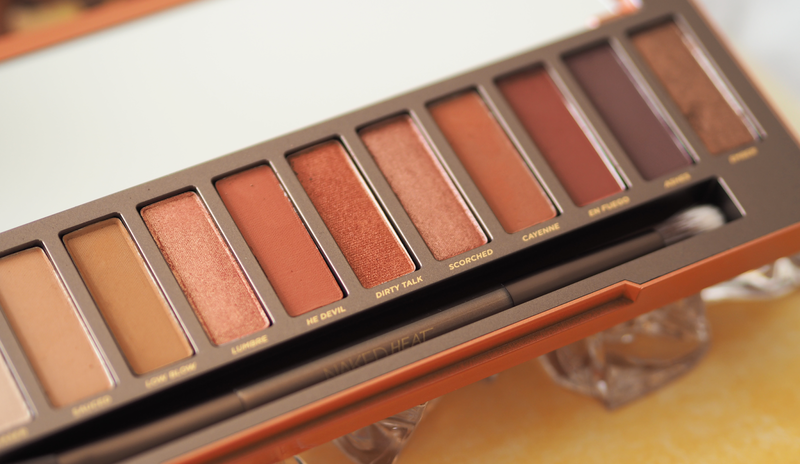 The Naked Heat Palette contains 12 new shades, from burnt oranges to glimmering coppers. It's versatile enough to be used as a daytime or a nighttime palette and was a shade-driven palette from what customers wanted. Shades like Bitter from the Vice 4 Palette and Extra Bitter from the Naked Ultimate Basics Palette really inspired the shades in this new palette. 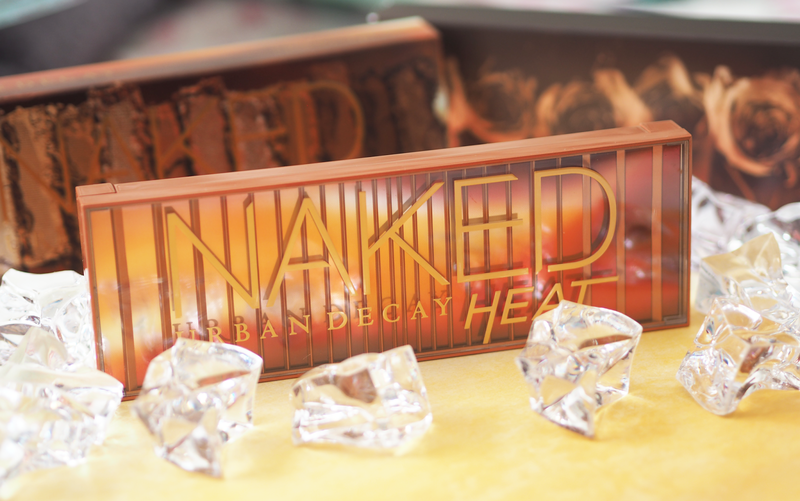 Urban Decay have said themselves they're interested in cult favourites from the beauty community, so it's no surprise they added in coppers, burnt reds and some deep colours. En Fuego seems to be the shade most spoken about so I went in hoping it would be my favourite shade. To match with the heat inspired shades, the packaging had to add to the hype. 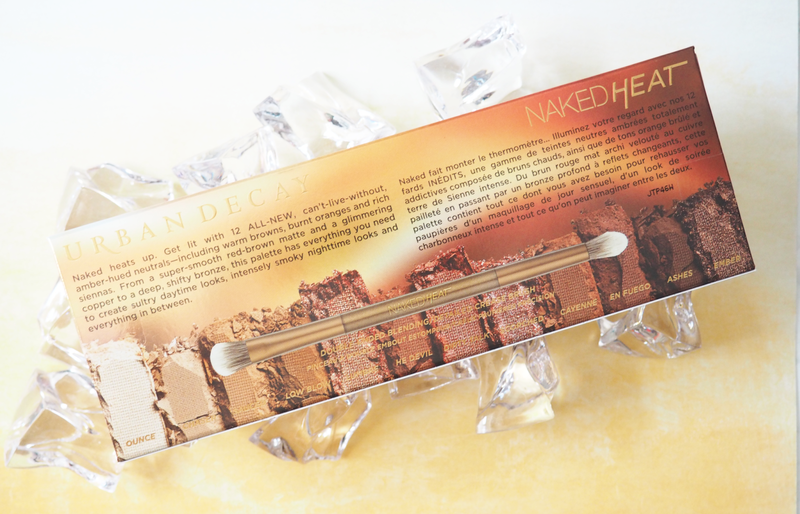 The outer packaging is similar to the other original Naked palettes with the colours to match the shades inside. The outer packaging consists of two different sections which surprised me when I opened it. 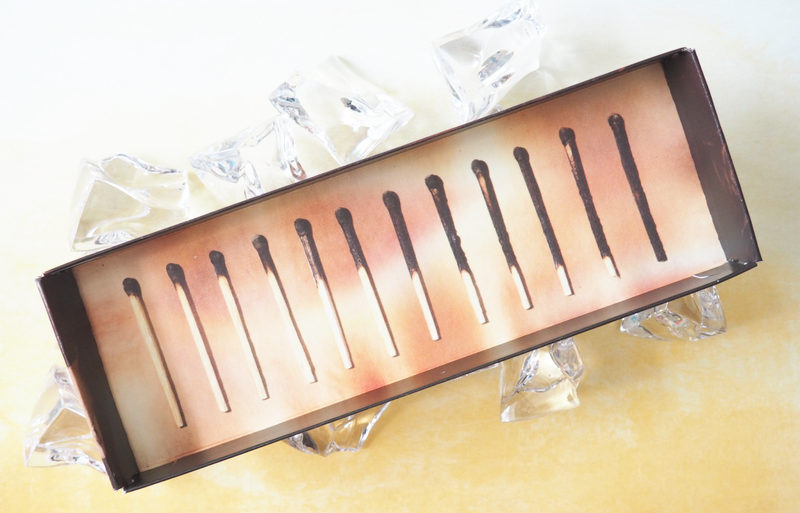 The case that the palette sits in is designed like a matchbox with a graphic of twelve burned matches. Around this is the packaging you usually see with the twelve-shade Naked palettes but they're normally boxed so I nearly dropped the palette on the floor when I took off the tape, oops. With every Urban Decay palette, the shades inside feature the Pigment Infusion System which is a blend of ingredients to give you the buttery texture, staying power and rich pigment. This is something loved by the beauty community as the shades have great blendability which makes it easier to create cut creased looks or smoking out your shadows. 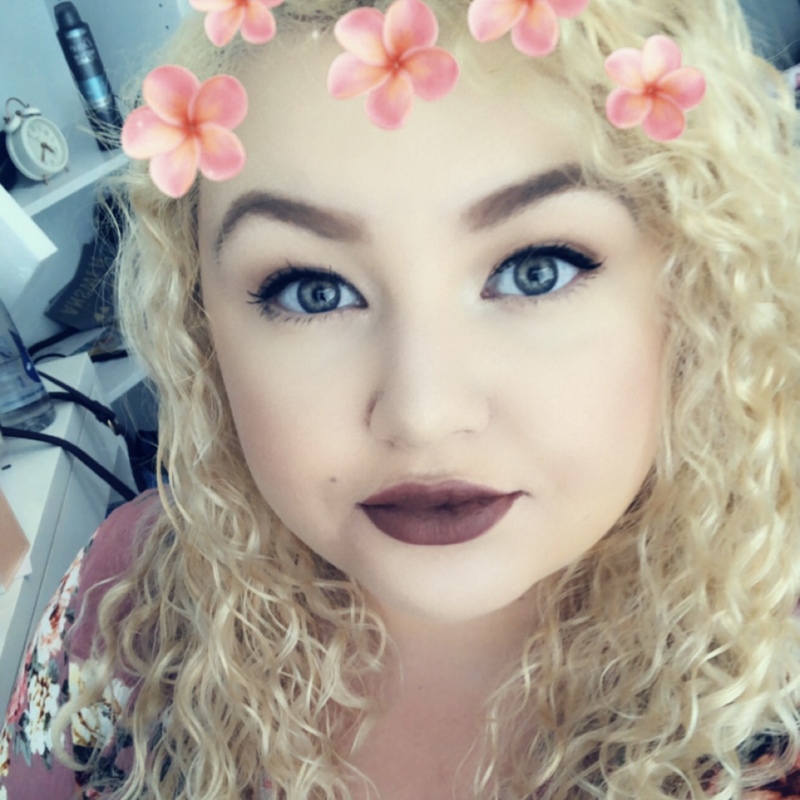 I do tend to favour Urban Decay along with a few select other brands for this purpose, as rushed, cheap formulas don't tend to have that blending power that these do. 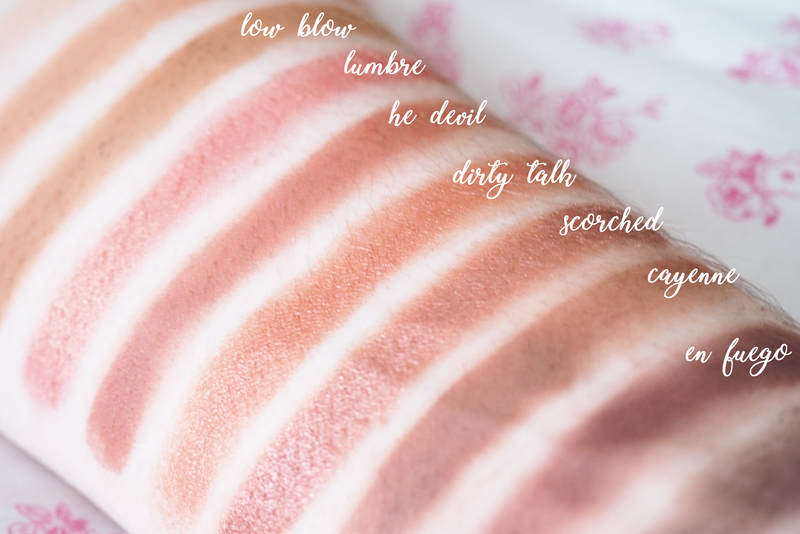 The shades themselves range in colour, texture and pigmentation. 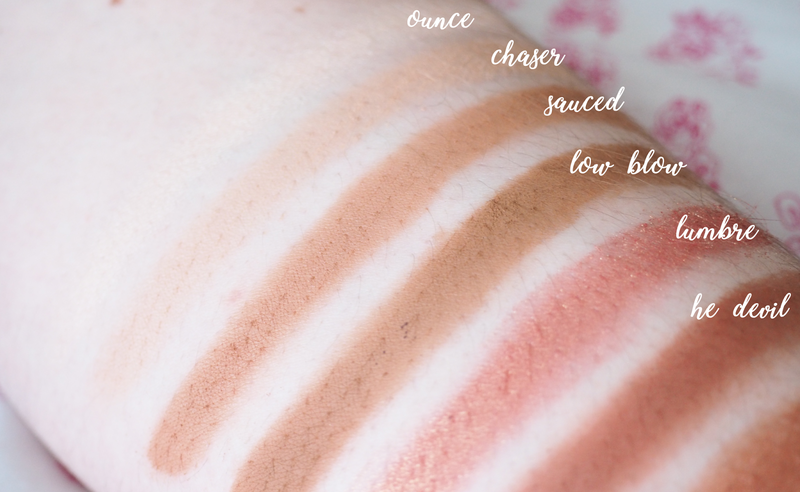 In terms of shades, you have really light shades like Ounce which I tend to use as a base shade and in the inner corners, slowly getting darker and more brown through Sauced, Low Blow, He Devil and Cayenne. You've then got two shades, En Fuego and Ashes that add depth to the palette which gives you the ability to create looks more for the nighttime. You've got shimmery shades such as Lumbre which is basically rose gold and I'm infatuated with it. 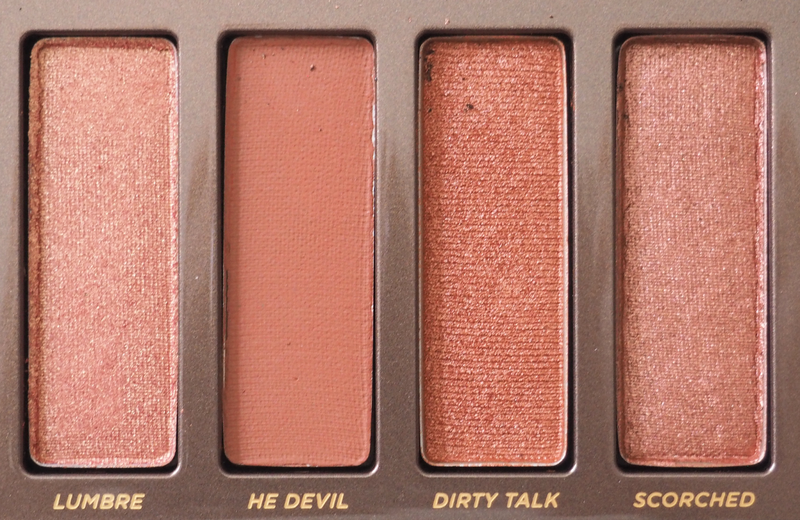 There's Dirty Talk and Scorched which are so incredibly pigmented and shimmery and they're really what make the palette. An interesting shade is Ember, which in pan looks like a darker brown shimmer, but when it's swatched (see below) it looks completely different and very true to it's name. As far as pigmentation of the matte shades goes, I'm impressed with every single shade apart from one, Ashes. If you look at the swatches you'll see what I mean. It blends fine but trying to pack on the colour isn't as easy and if it was as plum-brown and pigmented as it looks in the pan I would be using it all the time. That's the only downfall. Firstly I'd like to point out something a little obvious to some with the photos of the swatches; they're not on me. I roped in Andy to let me swatch the shades on him as his arm is longer and it is easier to take the photos of someone else. Anyway, I'm just as impressed as I normally am with these swatches. They're very true to colour aside from Ashes which seems different in colour and is patchy. 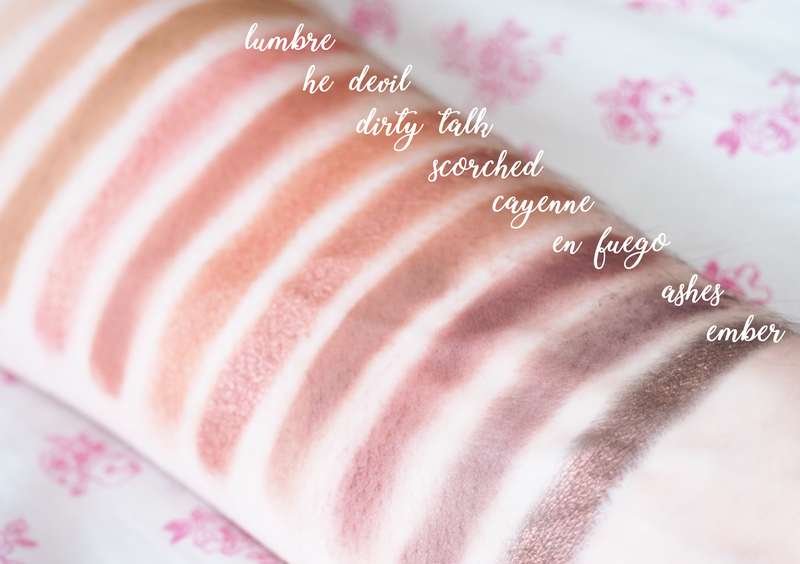 The shimmery shades; Lumbre, Dirty Talk, Scorched and Ember all have amazing colour payoff and have been the first shimmery shades to impress me since the Anastasia Beverly Hills Modern Renaissance Palette. 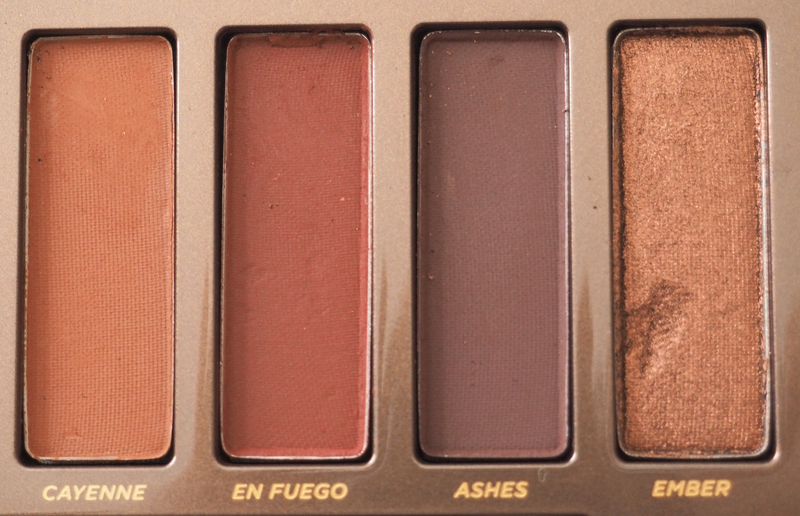 If you look at the shades in pan and on the swatches, you can see that there are a few colours you could swap out to make this the ultimate warm-toned palette. 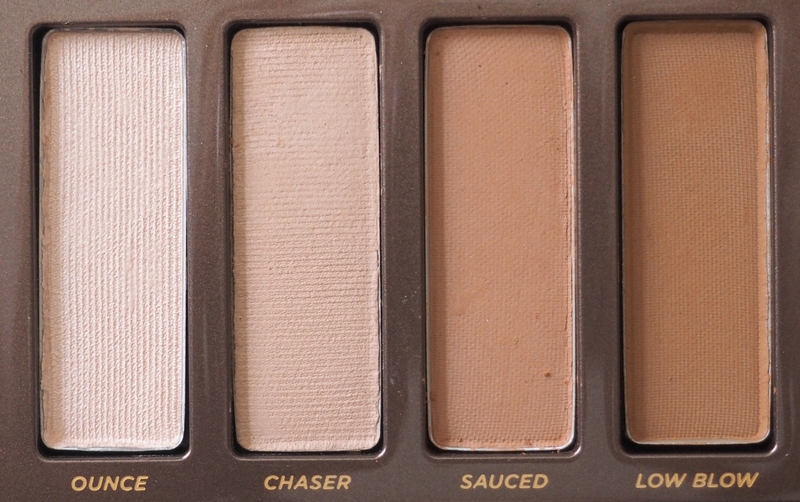 For me, I'd replace Ounce and Chaser with a matte yellow and a shimmery gold. As usual, the palette comes with a dual-ended brush to apply and blend the shades with and although palette brushes are usually good, I don't tend to use them. There's a full sized mirror inside which is genuinely a make-or-break with me as I like to palettes with me on the go and if it doesn't have a mirror they don't come with; I'm looking at you, Morphe. 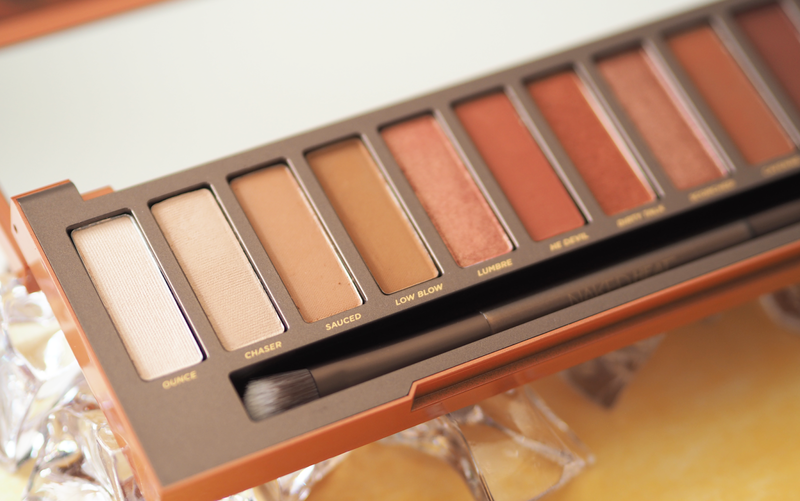 This was a well-needed palette, and with a few exceptions and alterations that I would have made, it staying firmly in my makeup desk along with my other Naked Palettes. And yes I did put my nail in the shade Ember but let's not dwell on that. 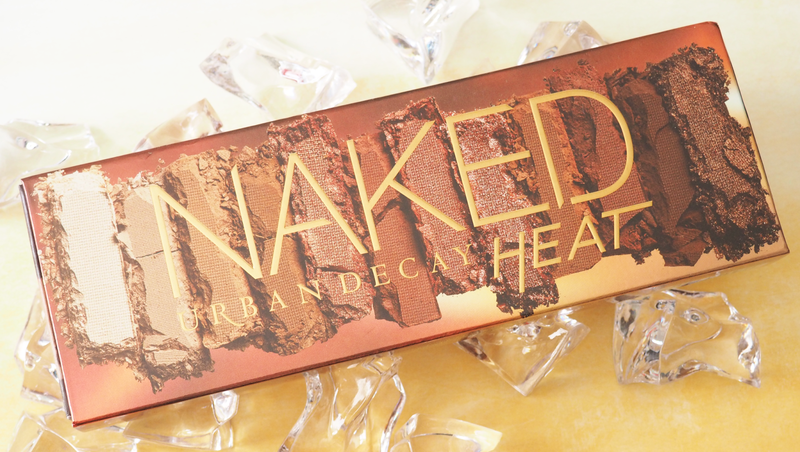 The palette is £39.50 and is available now from the Urban Decay website.